My four-year-old often tells me, "It's really hard to be good all day." Ralph the Racoon has a different problem. He is so "disturbingly" well behaved and "shockingly polite" that his parents are extremely worried. They decide to send him to bandit school where he will hopefully learn to be a bad bandit like his Grandpa Cutlass and Uncle Whiskers. Poor Ralph does poorly in school from the very first day. When the teacher Mrs. Mischief presents the first lesson on unpleasant behavior, Ralph says "pardon me" on the instruction to burp, causing the other students to laugh at him. 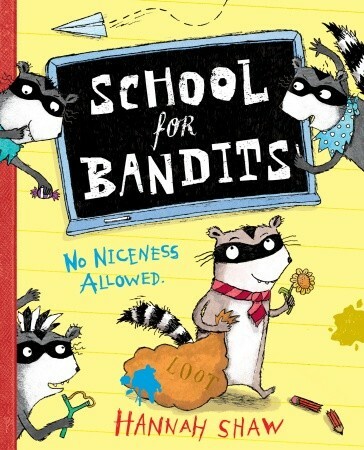 The rest of the term didn't get much better at all, and when it's time for school vacation, Mrs. Mischief hands out loot bags telling the students that the racoon who fills his or her bag with the most loot will win the Best Bandit in School competition. It looks hopeless for Ralph until his natural good behavior surprisingly earns him a lot of loot. Hannah Shaw's School for Bandits is full of wit. My four-year-old just started Pre-K and is learning about school rules, so she thinks it's pretty hilarious when the teacher tells the class to burp. Shaw's quirky illustrations, rendered in pen and ink, printmaking techniques, and Photoshop, are full of detail and provide many opportunites for laughter. The twist at the end is a clever way to show that good manners aren't so bad at all. 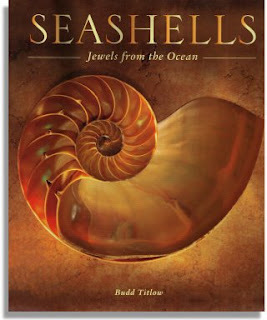 This is a great choice for a funny, read aloud. I'm always finding surprises in drawers, boxes, and closets that my little four-year old explorer finds on our nature walks - pine cones, leaves, rocks, flowers, etc. 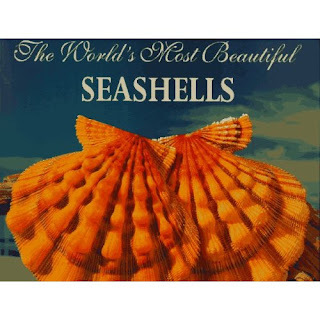 Her latest fascination is seashells, so we stopped by the library to find photo books of shells. Here are our two favorites. This is our favorite. The book contains more than 300 stunning photographs of rare and beautiful seashells. The text is a high level, but we really got the book for the pictures. This is also a great find. The book features tons of different types of shells, and most of the captions for each photo are just the right length for young readers.